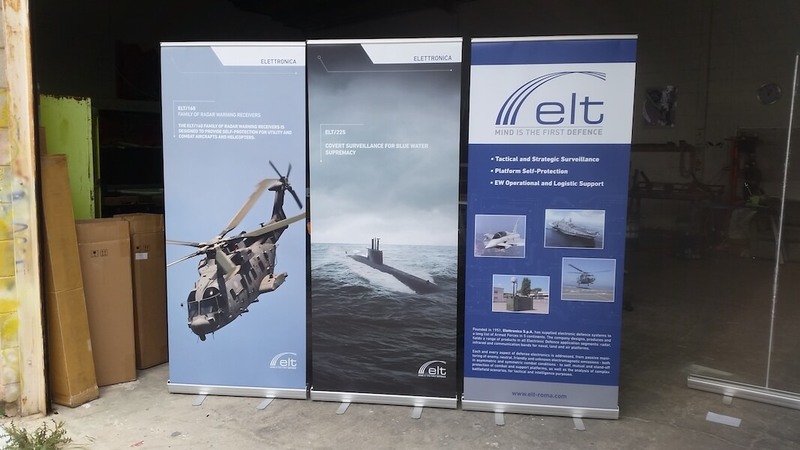 Pull-up banners, also called retractable banners, have become very popular with their prominent place in trade shows, conferences and exhibitions. They have also proven effective in public spaces like airports, malls and movie theatres owing to their convenient sizes and appealing designs. As the name suggests, these pull-up banners retract into their frame making them easy to store. Why Opt for Pull-up Banners? 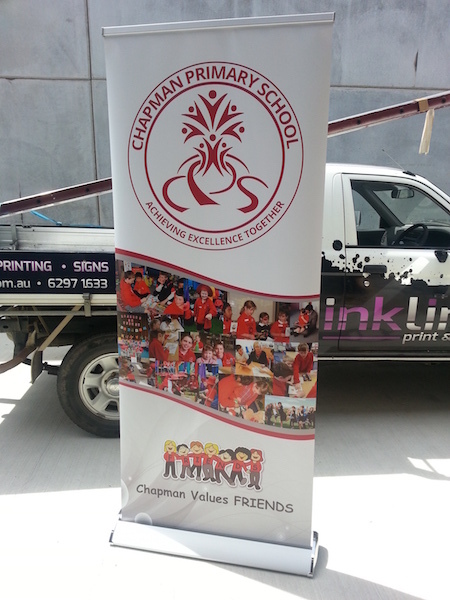 As with other Inkline signage solutions, our pull-up banners are easy to set up and dismantle. Our designers and technicians can help you effectively layout your content and images in the banner to customise it to your taste. Our range of pull-up banners come in an array of sizes and styles, allowing you to choose the ideal banner for your business taking into consideration the floor space available. To make sure our products can be stored and transported conveniently we also supply them with neat carry bags. Whether you’re hosting a seminar or conducting in-store promotions, you’ll find our banners the best way to communicate to your audience and give them the information they are looking for. Size does matter, so always opt for the ideal size keeping in mind the available space – you don’t want customers or employees constantly bumping into your banners. Also be wary of the material and printing services too as a poor quality banner will stand out and is sure to reflect on your business. 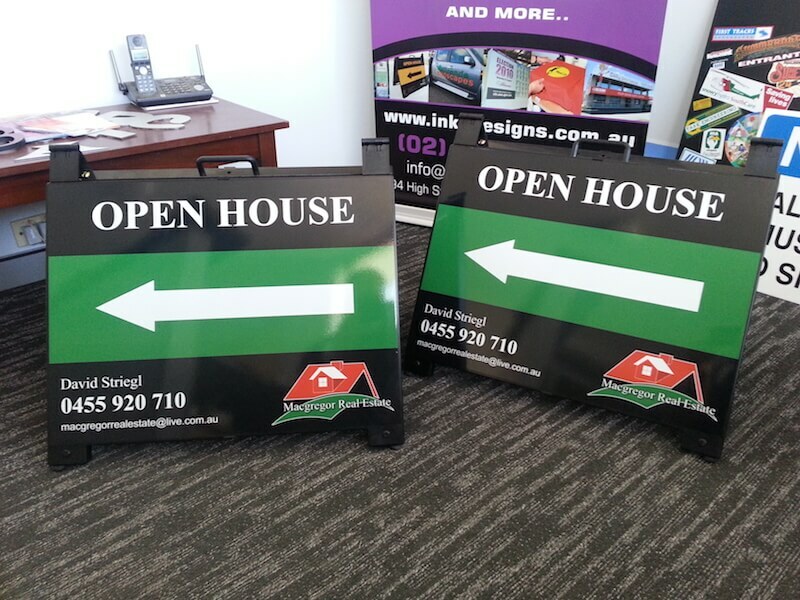 A-frames are portable signs that are great for promoting your business. 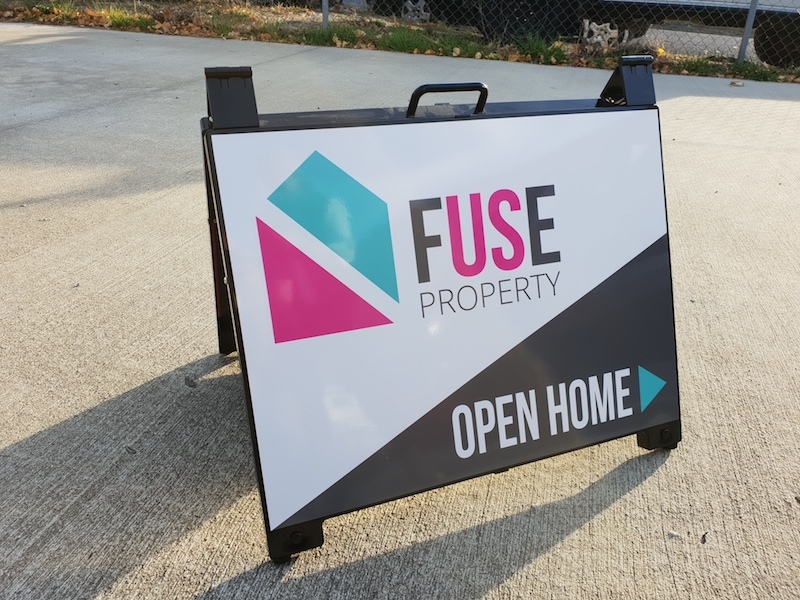 While other marketing signs and advertisements are usually fixed to a spot, you can set A-frames in convenient spaces and move them around when needed. Why Would You Need A-frames? A-frames are just what you need if you run a business that constantly needs advertising in different locations; e.g. real estate agencies, exhibitions, cafés, salons or restaurants. They are an excellent way to guide customers towards your business and also a flexible way to present your products and services. A-frames are lightweight and foldable making them easy to store when not in use. The once standard whiteboard A-frames have now evolved into attractive visuals that highlight your special services and products. Our graphics team at Inkline can help you design your A-frames according to the needs of your business. Promotional flags come in various shapes and sizes. They are brightly coloured and tend to attract a lot of attention, making them an excellent way to highlight your brand name and logo. Although they cannot accommodate a lot of content or information like banners, they are still very effective as they can convey succinct messages powerfully. For instance, a retail outlet advertising its annual sale can attract attention with a brightly coloured flag outside with just the word ‘sale’ printed on it. 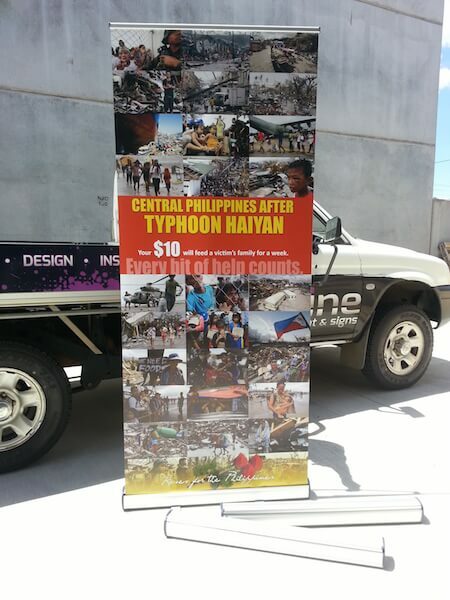 Inkline Print and Signs offers flags in three different shapes – tear drop, bow head and rectangle. We offer these shapes in three sizes as well – small, medium and large. Depending on your usage, you can also choose from any of these base options for your flags – ground spike, wall mount, cross feet and water bag, or U shaped car wheel base. 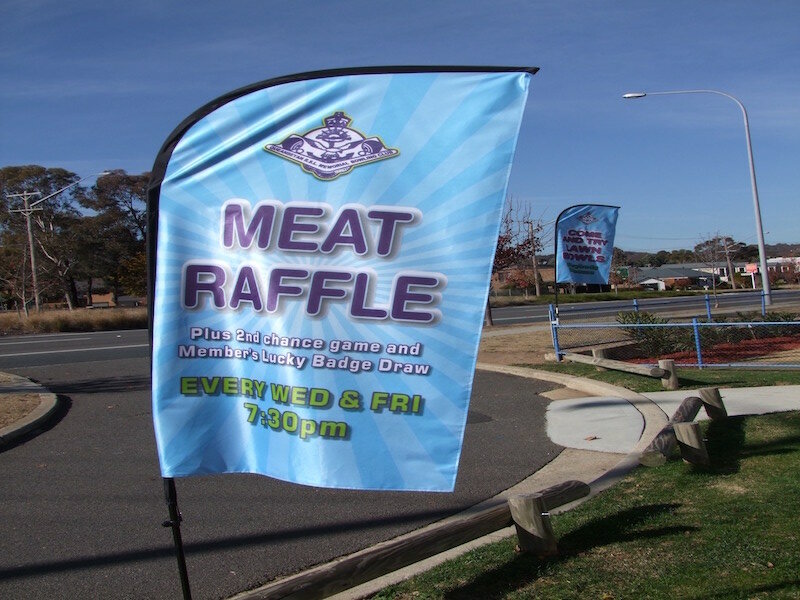 While rectangular flags have been used for promotions for a while, the other shapes have recently become popular owing to the fact that they attract more attention. Flags can also help promote your brand, leaving a lasting impression on prospective customers. Flags don’t take up much space either, so you don’t have to spend time worrying about permits to put them up. We, at Inkline, proudly serve the Canberra, ACT and Queanbeyan regions and endeavour to offer you the best services at the best prices. 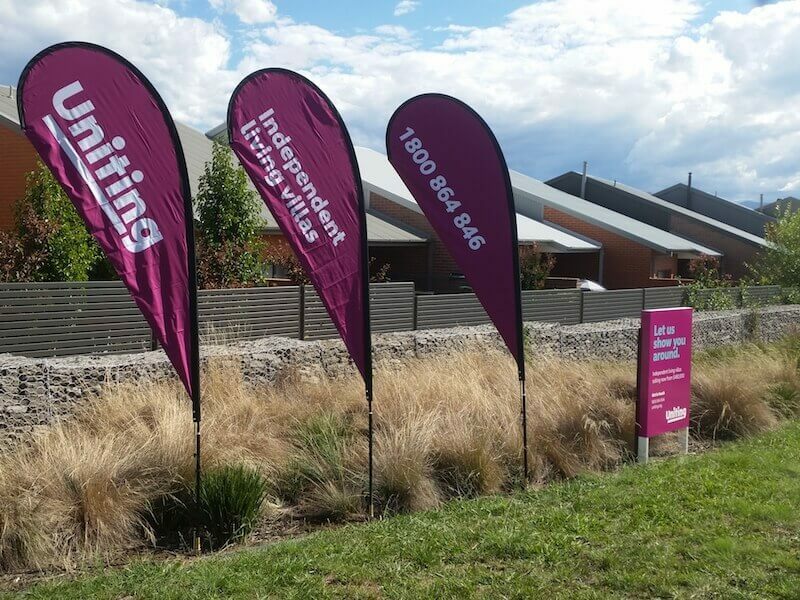 For more information about our flags, contact our friendly consultants today or call 6297 1633. 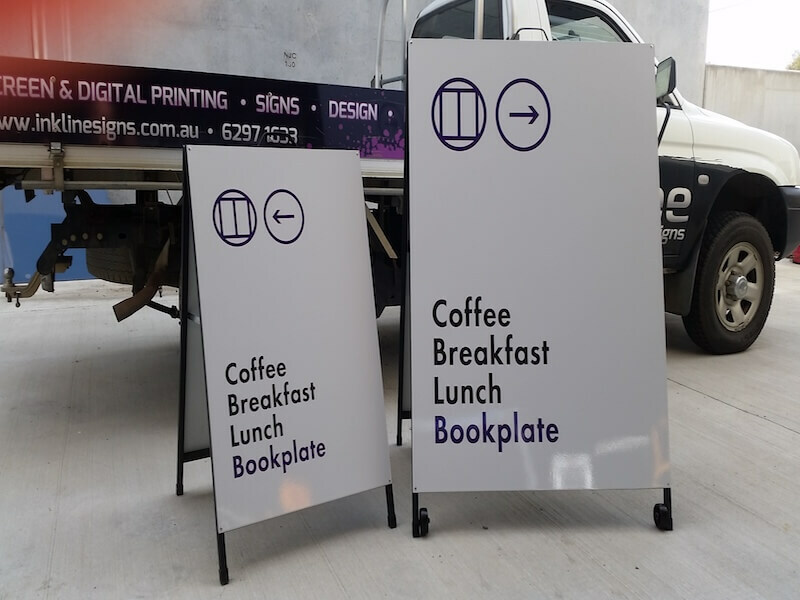 Inkline Print & Signs was launched in 1980 with just one focus – to offer high quality and fairly priced signage and printing solutions customised to suit the requirements of businesses in the Canberra, ACT and Queanbeyan regions. © 2018 Inkline Print & Signs. All rights reserved.